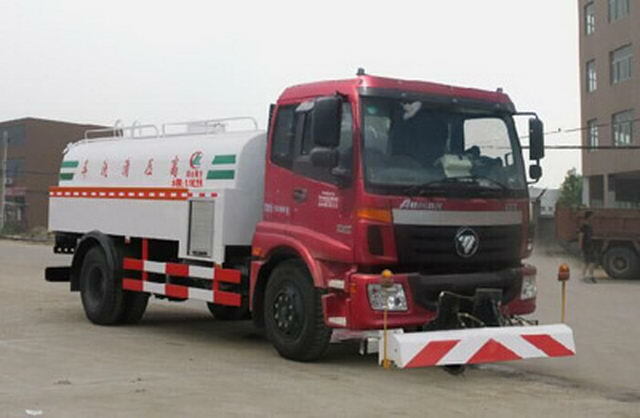 ISD190 50 Dongfeng Cummins Engine Co., Ltd. 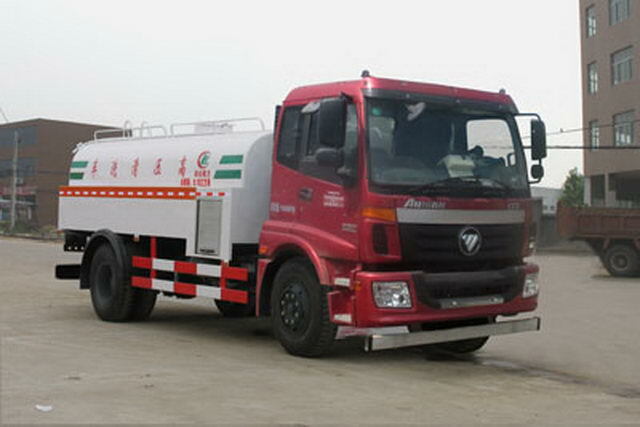 Effective volume of tank8.51Cubic metre,Tank size(Length * long axis * short axis)(mm):3800(Actual total length of tank5000,among1200Accessories for installation)*2200*1380.Medium name:water,Medium density:1000Kg/Cubic metre.Can the optional front spraying device,When the water spraying device is not installed, the vehicle length is:8050mm. 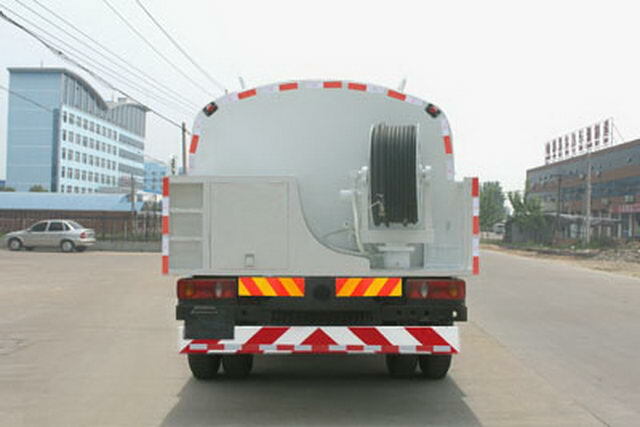 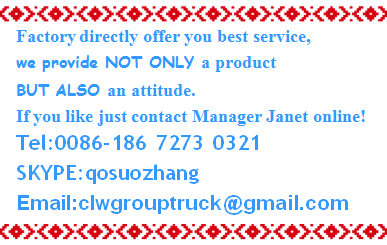 The length of the vehicle when there is a front water spraying device9050mm,Before stretching1000mm. 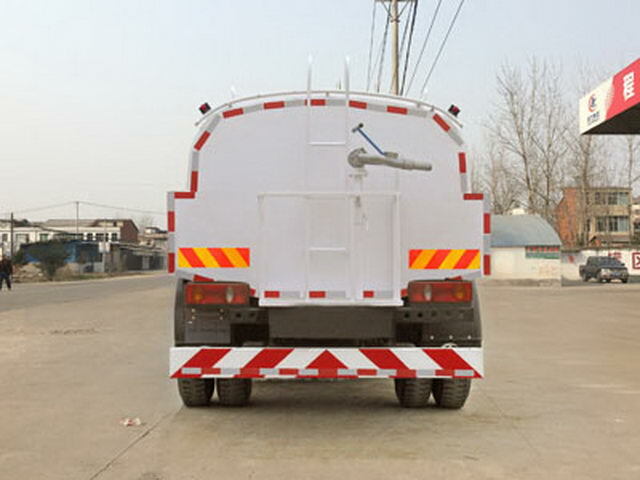 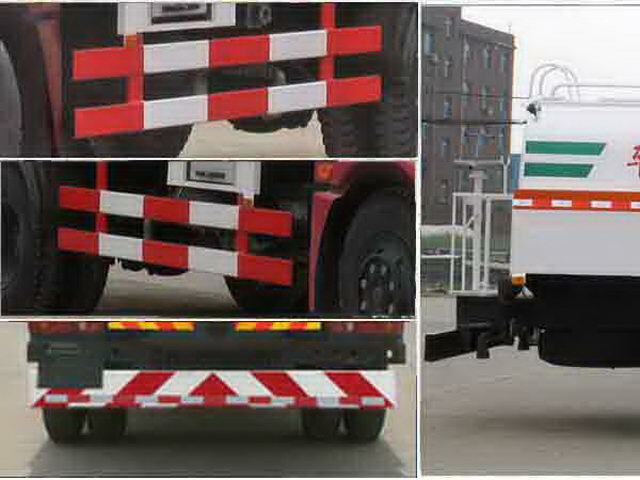 Optional after reel,Only choose the wheelbase4700mm,4500mmWith the rear suspension1985mm,2185mmOne-to-one correspondence,Side and rear protective materialsQ235Acarbon steel,Rear protection and frame welding connection,Rear protection section size120*60mm,Height from ground520mm.ABSSystem model/Corresponding relation of production enterprise:44600XXXX0/WABCO Vehicle Control System Co. Ltd.;ABS/ASR-24V-4S/4M/Dongfeng electronic Polytron Technologies Inc.
Enterprise name: Beijing Fukuda Daimler Automotive Co., Ltd.
Other: Optional dome.ISD210 50The maximum net power is149kw,ISD190 50The maximum net power is138kw.Dimension length/Wheelbase/The corresponding relationship(ml):6805/4500/940,8230/4500/2365,7005/4700/940,8430/4700/2365.ABSSystem model/Corresponding relation of production enterprise:44600XXXX0/WABCO Vehicle Control System Co. Ltd.;ABS/ASR-24V-4S/4M/Dongfeng electronic Polytron Technologies Inc.